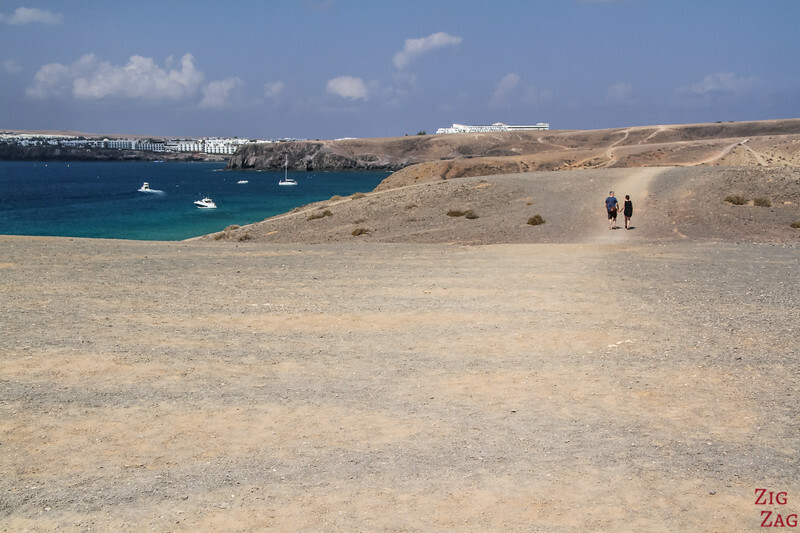 Papagayo and its neighboring golden sand stretch are considered some of the best beaches in Lanzarote and one of the top attractions on the island. 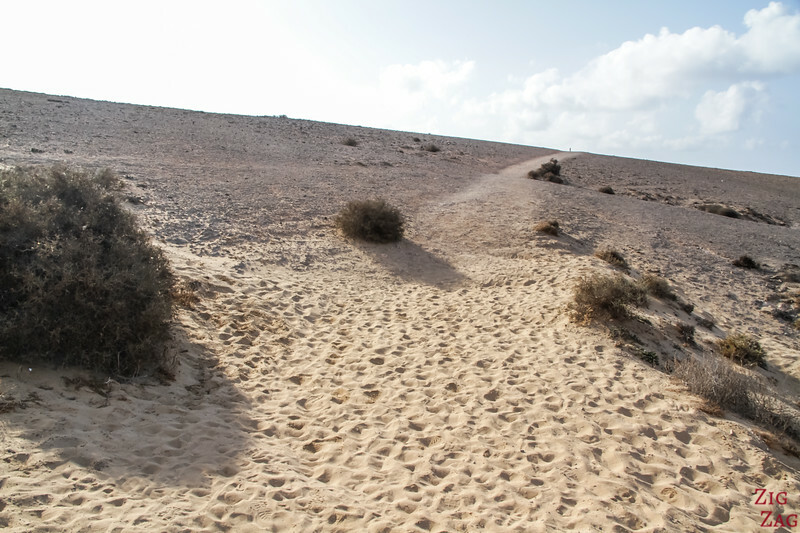 Their large sandy areas have remained mostly untouched with no paved roads leading to them. 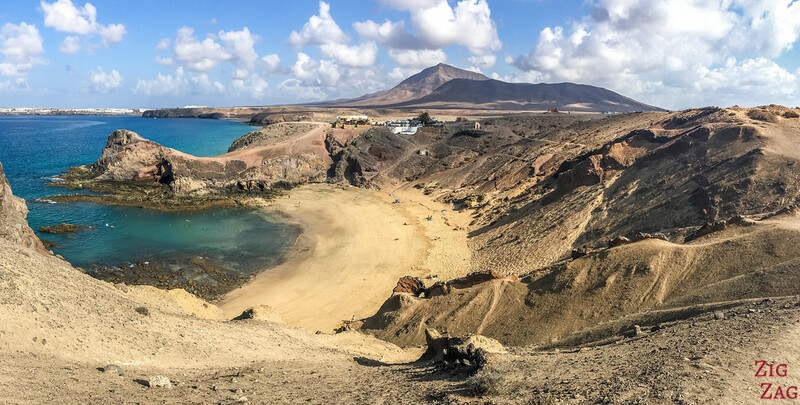 Only at the last one, the cove that is Papagayo beach can you find a couple of buildings. 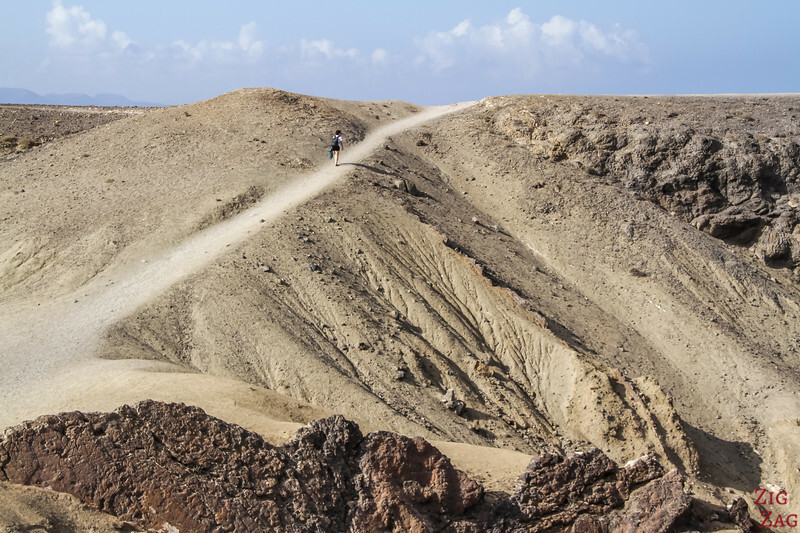 There is no paved roads, but you can get on a track to reach the parking of Playa Mujeres or the parking of Papagayo beach. 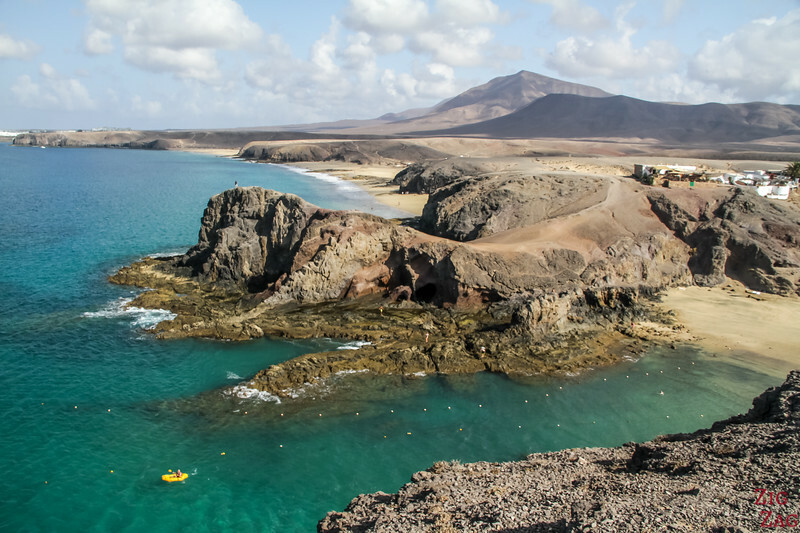 If you want to enjoy those beaches frequently, the best is to stay at the nearby resort town of Playa Blanca. There is a large choice of accommodations, shops and many restaurants. 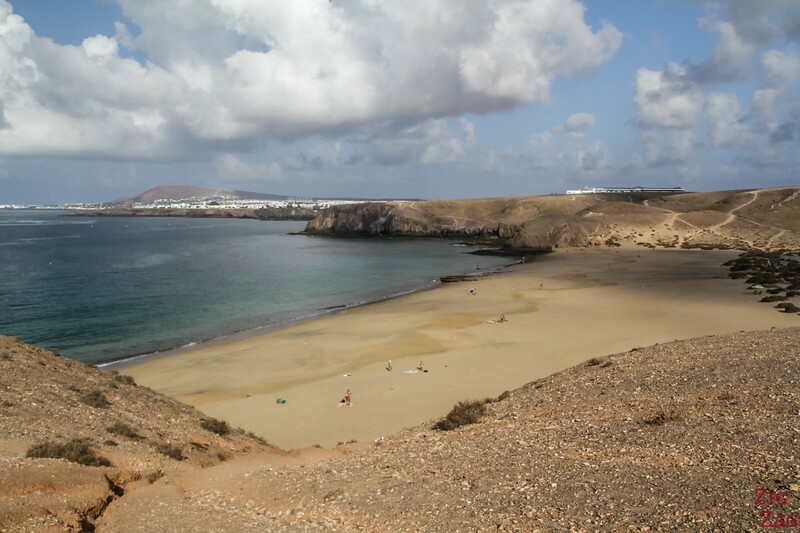 Or have a look at my Guide on where to stay in Lanzarote. 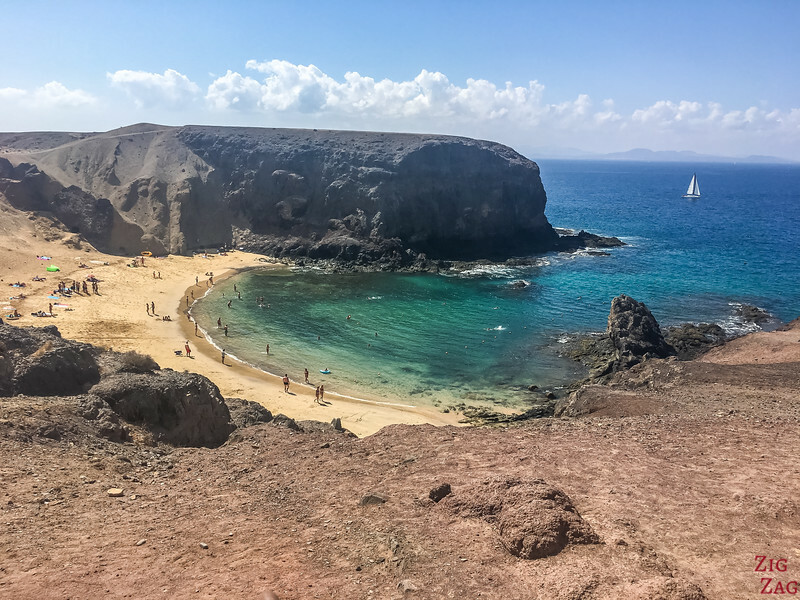 The term Papagayo beach is often used to describes the whole area. 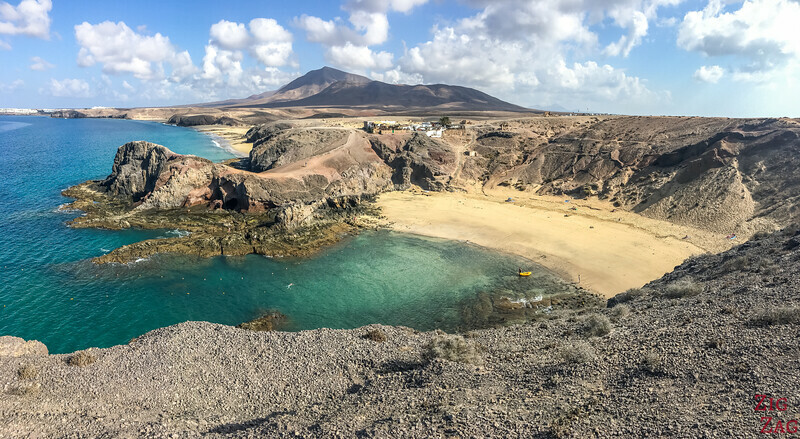 The it is actually the last beach in the corner which is a beautiful cove that seems to be closing, creating a protected area (which is great when it is windy). What is great is that you can easily walk around to admire it from different perspectives. And here are the views with the peaks of Los Ajaches behind. I love it! 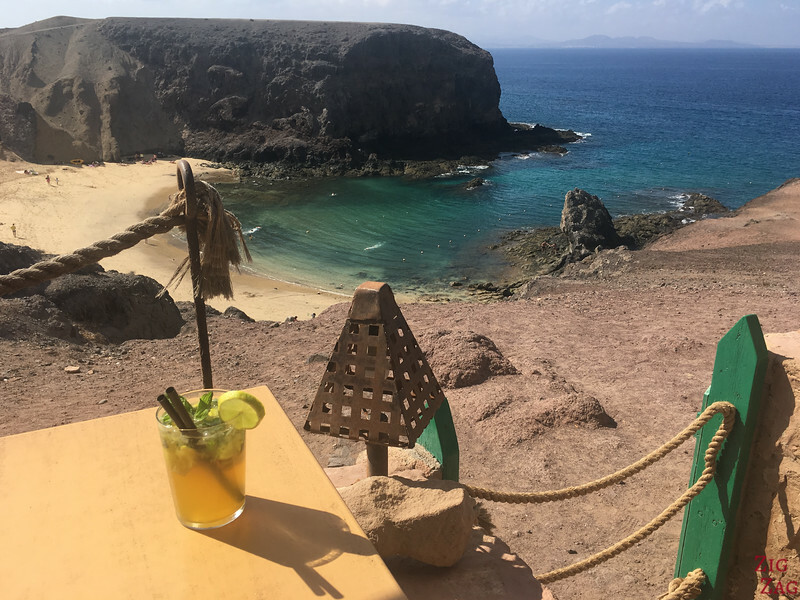 You can also walk on the other side, past the restaurant for a better view of the Papagayo beach sand. It is a really great place to take pictures! Then you can walk down to the beach to enjoy the protection from the wind. Contrary to the other beaches there are stairs to get down because the cliffs are very steep. The sand is golden and the waters are emerald green. 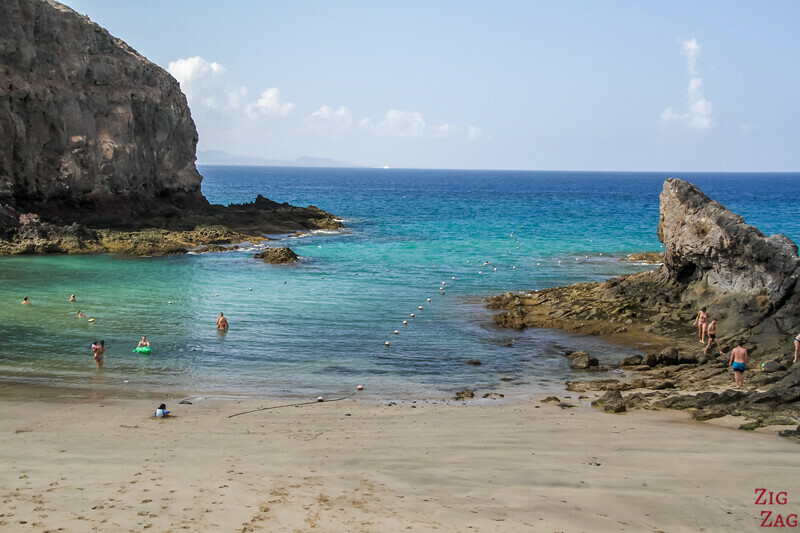 You can relax on the sand, soak in the bay or play on the rocks. However during high season, you might have difficulty finding a spot for your towel. 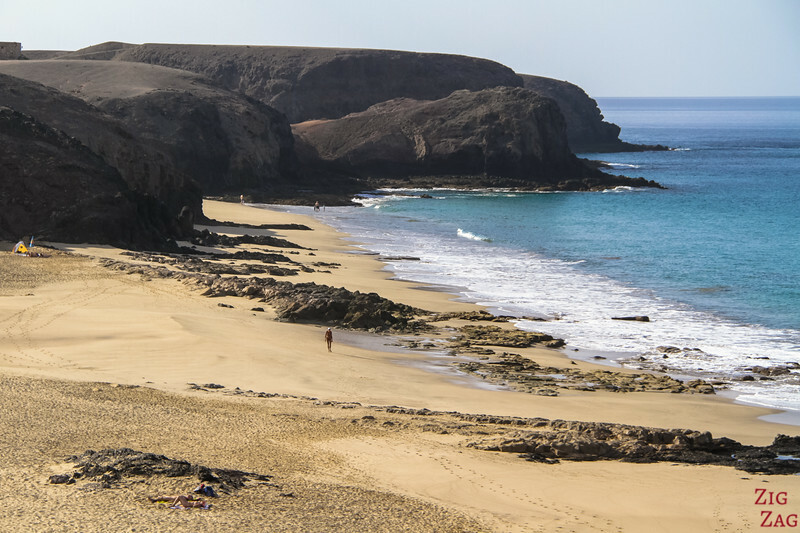 There are no facilities at the largest beaches before, bu at Papagayo you can find 2 buildings. They are bars and provide food as well. The view is quite enjoyable but the music from both establishments was too loud for my taste. It was nice to enjoy a little bit of shade and a refreshing drink. 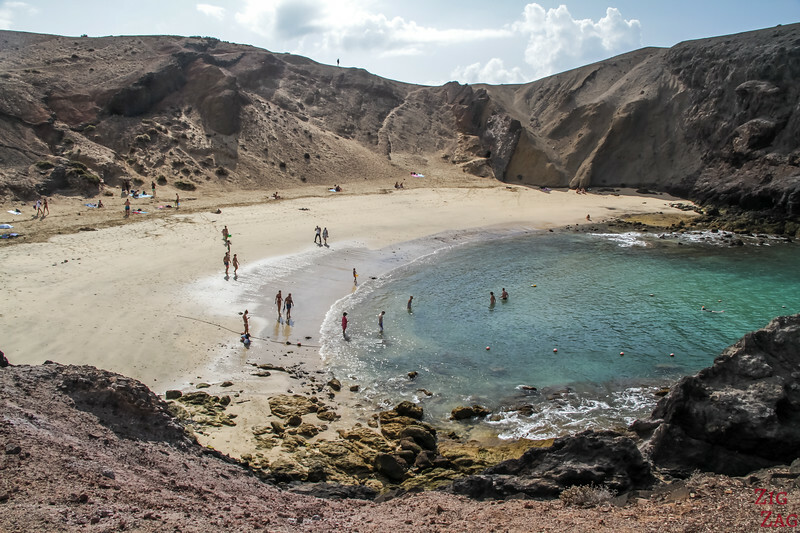 Above I introduced the official Papagayo beach, but the whole series of beaches is referred to as Papagayo beaches. 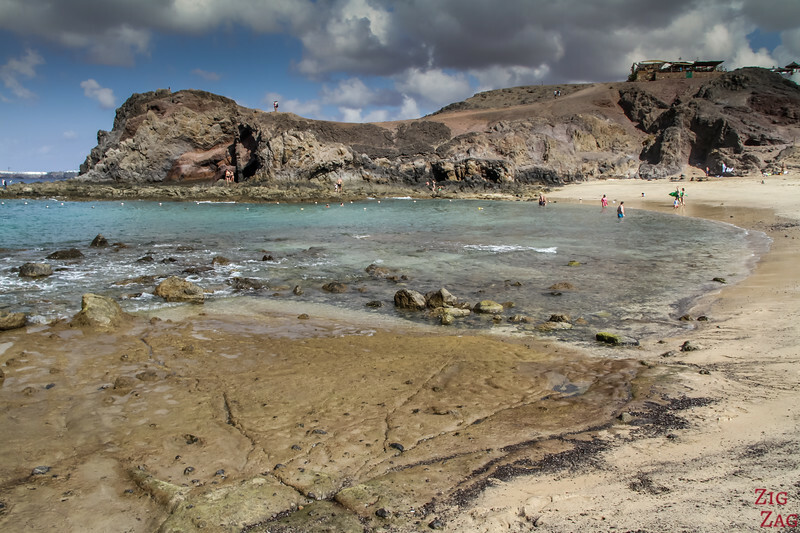 Close to papagayo, Playa del Pozo beach has a large golden sand area and beautiful rocks to photograph. 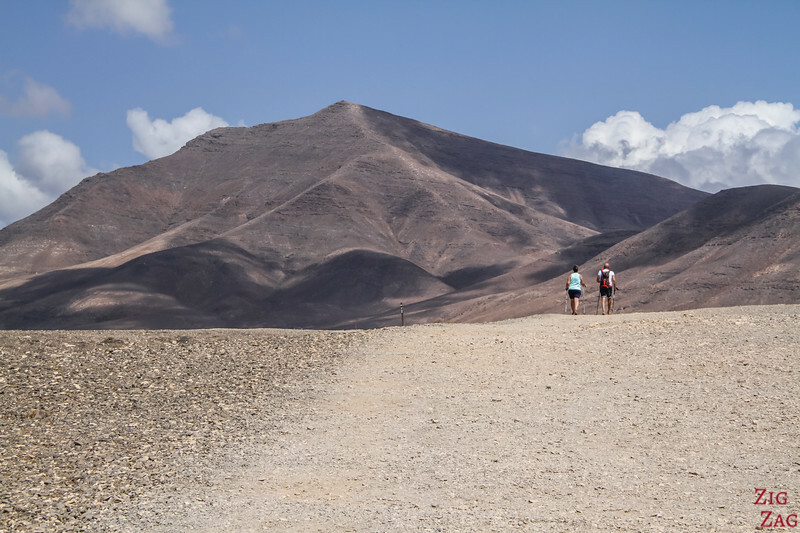 With the steep cliffs at both end, you can find area to be protected from the wind and find a little bit of shade. 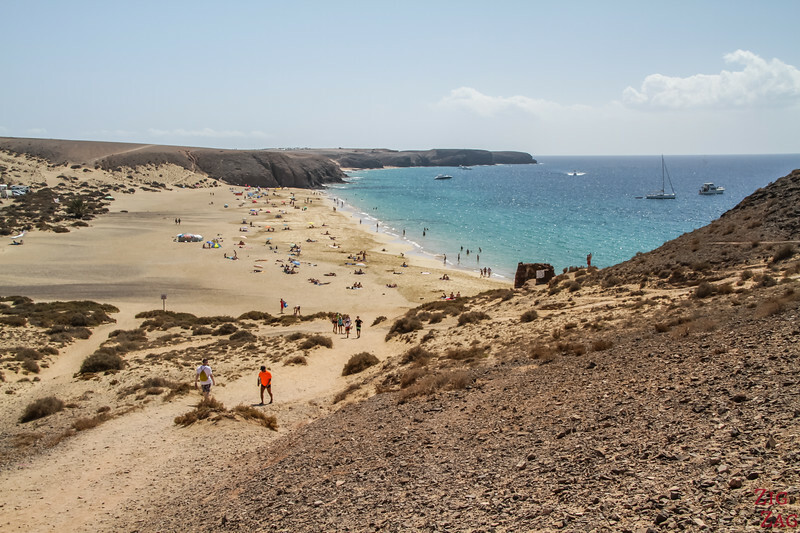 What is a little different about this beach is that it has small sand dunes in the back of it. You can see them in the photo below. 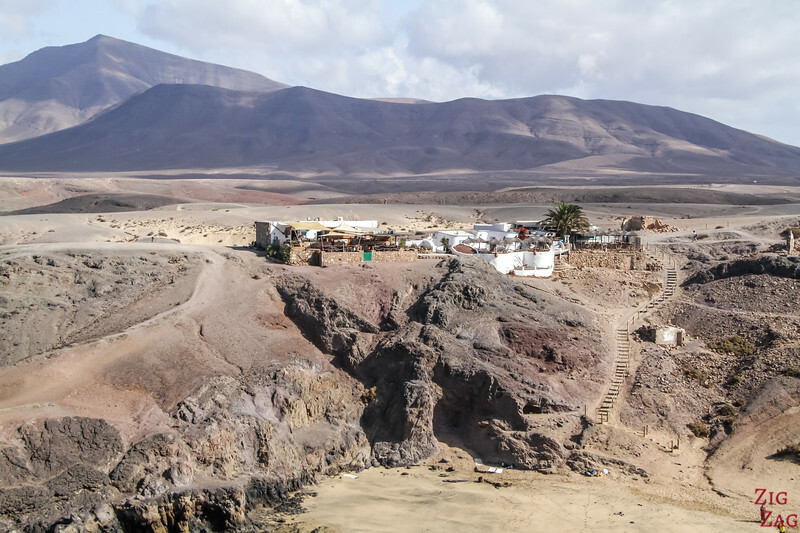 And in front of you, you can see the white buildings of Playa Blanca and the volcano of Montana Roja. Note that you may cross path with nudists here. Playa Mujeres beach is the second most famous beach in that area. 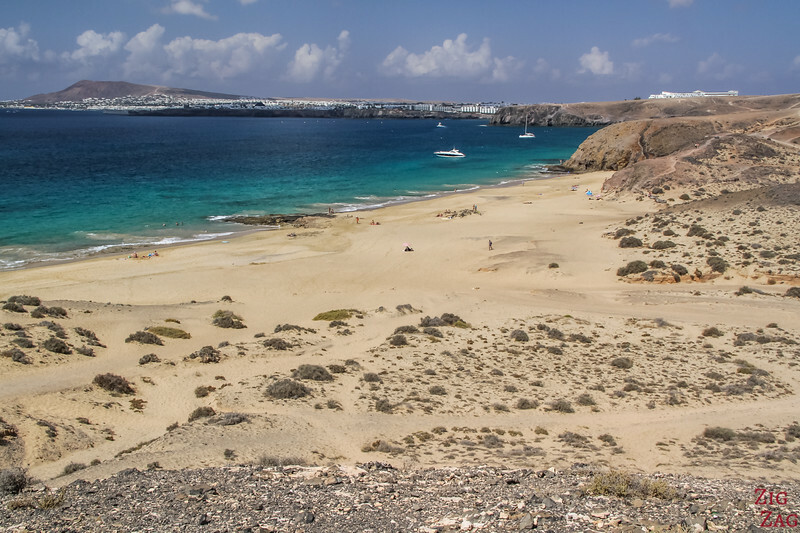 It is a 400m long stretch of golden sand with turquoise water. 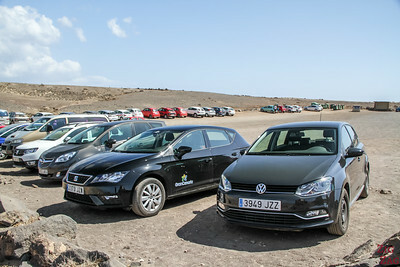 A carpark has been set up right by the beach. 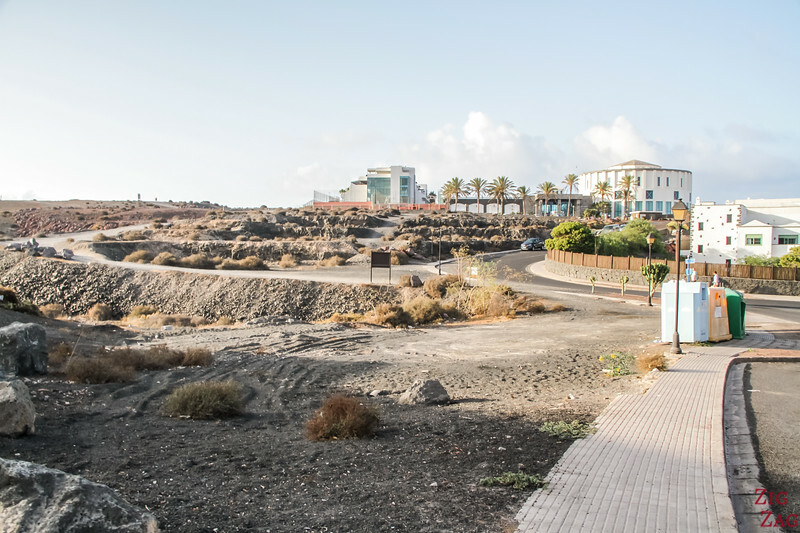 And it is the closest one on foot from Playa Blanca. 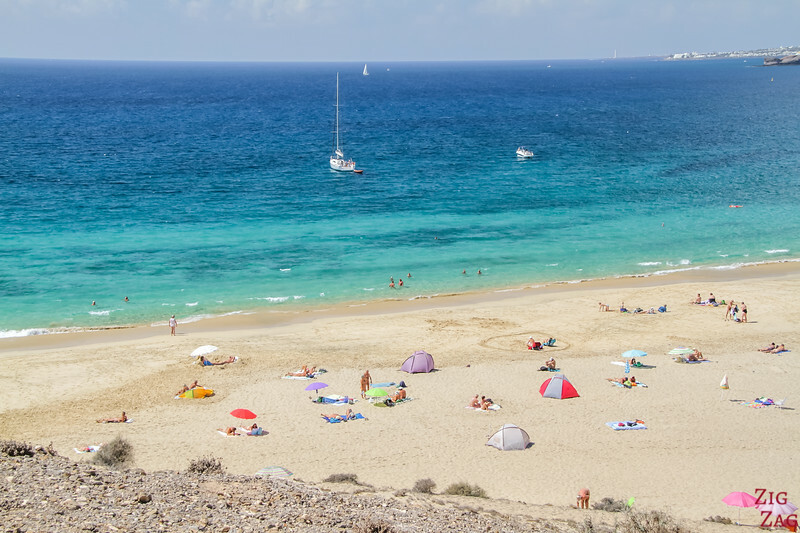 As it is long and wide, there is more space for everyone to enjoy the sand and sun. I think it is really worth it to do the hiking trail. 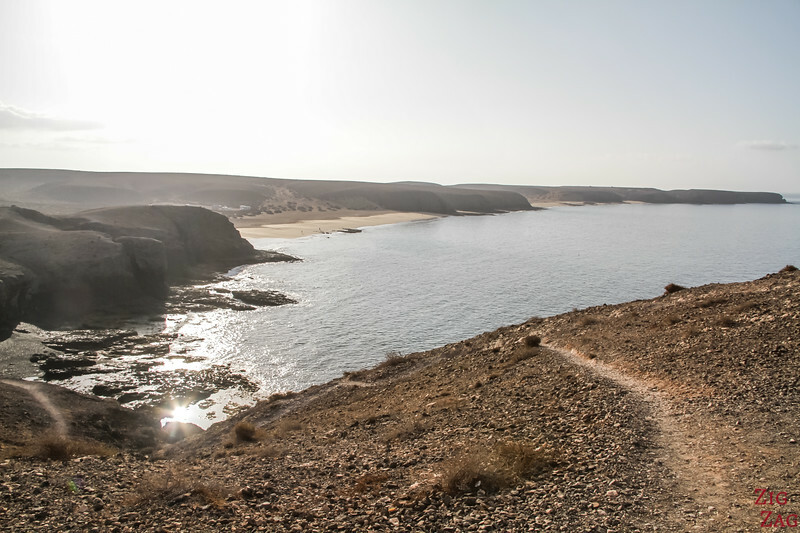 The views along the water are great, especially with the hills of los Ajaches behind. 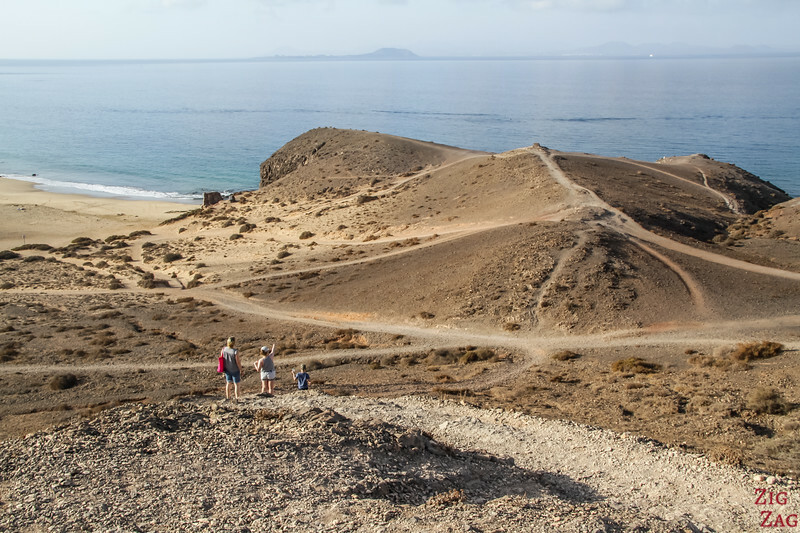 Below you can see the Sandos Papagayo Beach resort and the beginning of the walk to the left. The trail is mostly small gravel and sometimes sandy. I recommend to wear proper shoes for better adherence. As you can see in the photo below there are many trails in every direction. But you can always see the direction you are going, so choose the path that looks the most direct. 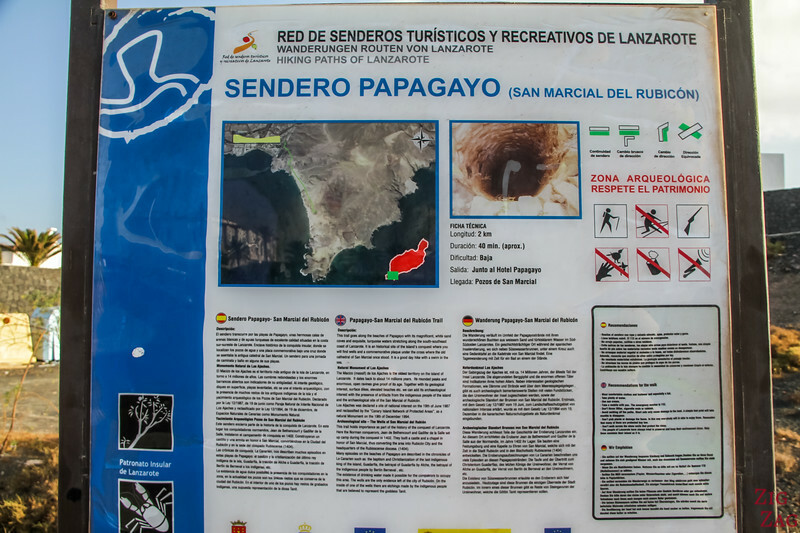 But most of the time the Papagayo walking trail is like that, so quite easy and enjoyable. 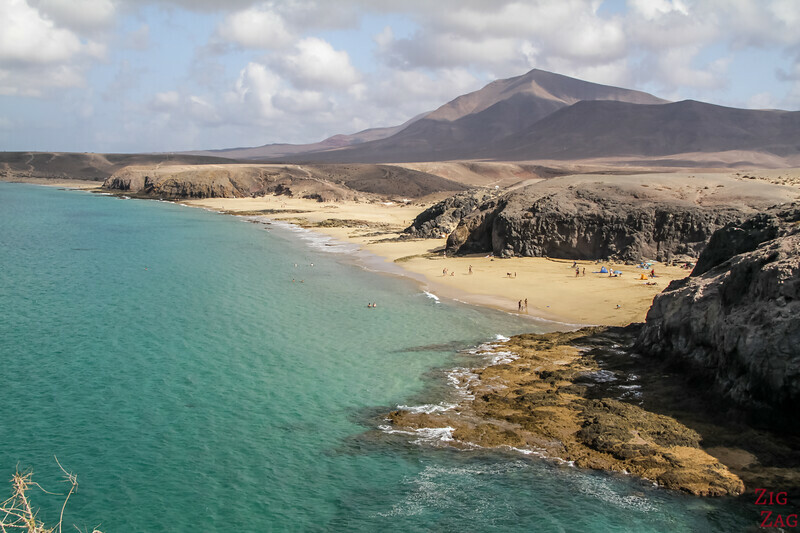 Do you enjoy wild beaches?